The Gift of Learning: Just Because – Happily After Retirement! Learning is something I love to do and with access to the internet, I can do it for free. EVERY SINGLE DAY! Ted at Ted.com. This site is filled with great lectures by energetic people who display their art, share their concepts or offer new ideas. A site to bookmark for sure! Do you love history? If so, then History.com will take you to places that will make you drool. They have quizzes, videos and information that will keep you glued to your seat. Perhaps you just want it all — all the learning with none of the cost? 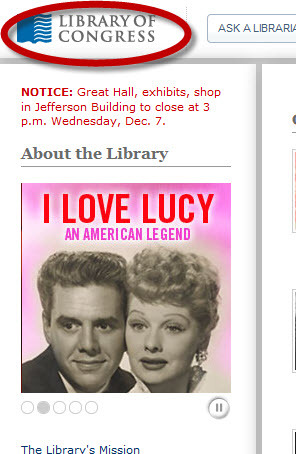 If so, visit The Library of Congress. The amount of information, stories, videos, music, films, maps, and so much more are literally at your fingertips. There are resources for kids and families, for researchers and teachers. Topics include prints and photographs, historic newspapers, veterans history, manuscripts and more. Oo I love Ted.com Its a great site and you can really learn so amazing things that. I also enjoy watching great quality presenters..presenting their presentations too! I enjoy the presentations as well and love the fact that none of them go over 30 minutes! That helps keep everything moving along! And like you — I always learn something new! I often tell people that the internet has brought the world’s libraries into my home. What an awesome gift that is! Good MK, yes the TED and affiliated TEDx events are totally awesome. It is great they video every presentation and entertainment and post them online…ideas worth spreading. I attended my first TEDx last year and have stayed involved since. If you have any presentations that stand out more than others, let me know so I can look and bookmark them as well. When I discovered I can go into libraries and museums around the world– I got tingles all over my body!